Hanover’s dramatic rise in income can be ascribed to three things: investing in its people, an increase in corporate work and high-profile client wins. When three members of staff left to become special advisers in the Government last year, the agency moved quickly to fill them. The Independent’s chief political commentator, Steve Richards, took a part-time role as a senior adviser, Bell Pottinger senior consultant Viv Jemmett joined as deputy head of digital and the agency has snared Julia Goldsworthy, former special adviser to Danny Alexander. "Even in years of thinner growth, we insisted on maintaining the quality of the bench," says founder Charles Lewington. This investment has led to profitability doubling last year: in 2012, it had 69 clients and 49 staff; this jumped to 82 clients and 53 staff in 2013. The agency’s big wins included Tata Steel, Airbus and BlackBerry. Hanover’s growth is also a result of an increased amount of corporate work. This higher-margin work now accounts for nearly 40 per cent of the business (£2.6m),and is helping to broaden the agency’s offer from its public affairs and healthcare roots. Lewington expects corporate work to form half of all Hanover’s business within two years. The agency also invested in its digital offer and this year has set up a sports practice, with NFL as a founding client. 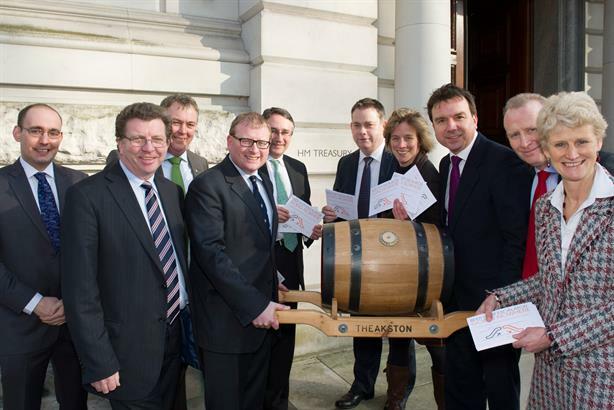 One of Hanover’s most high-profile campaigns of the year was its work for the BBPA to persuade the Chancellor to abolish the beer-duty escalator in his 2013 Budget. The campaign was so successful that the Treasury went further and cut the price of a pint by 1p – the first beer-duty cut since 1959. Cheers to that.